I have been a competitive swimmer since the age of 9 when I first joined my local swimming club in Leicestershire. I first began helping with coaching at the age of 14 when I became a poolside assistant, I helped teachers to conduct their lessons After this, I moved on to completing my level 1 teachers and gaining part-time employment at my local leisure Centre. By completing this qualification, I gained an understanding of the sport and what is needed to enhance the ability of others. I first began swimming through the influence of my mum and my grandad who have both coached and taught within the sport. From their experiences, I was able to understand the importance of being part of a team and how it can be good to support each other to make the sport more enjoyable. When competing in competitions in previous years, I have won many trophies which I am extremely proud of. My achievement of these and my experience has now inspired me to help the next generation of swimmers. I want to help them learn ways to understand the sport and enjoy the competitive nature. I value the sport because of the exercise and fitness it helps to develop in individuals, I have a passion for trying to improve the sport further. 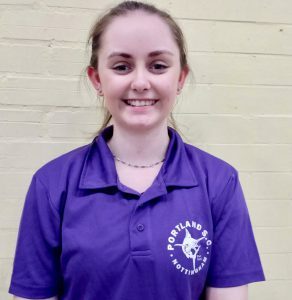 Being a coach at Portland swimming club whilst I attend university allows me to continue working with other swimmers as well as, being a member of a team who enjoy the sport as much as I do. I also help to improve my coaching skills and develop my confidence in my own abilities.